Excerpt from Touma, Habib Hassan. The Music of the Arabs. Amadeus Press, 1996. The maqam al-‘Iraqi is considered the most noble and perfect form of the maqam. As the name implies, it is native to Iraq; it has been known for approximately four hundred years in Baghdad, Mosul, and Kirkuk. The maqam al-‘Iraqi has been passed on orally through the Iraqi masters of the maqam, who cultivate the form especially in Baghdad. The maqam is performed by a singer (qari') and three instrumentalists playing santur (box zither), jawzah (spike fiddle), and tablah or dumbak (goblet drum). Sometimes a fourth instrument, a riqq (tambourine), also joins in. 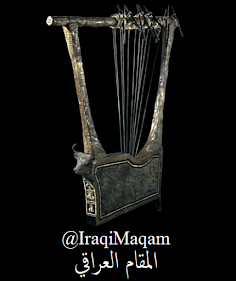 Chalghi al-Baghdadi is the name of this ensemble, al-maqam al-‘Iraqi is the name of the musical genre. At the center of a maqam al-‘Iraqi is a sung poem written either in one of the sixteen meters of classical Arabic or in Iraqi dialect. In the latter case, the poem is called zuhayri. 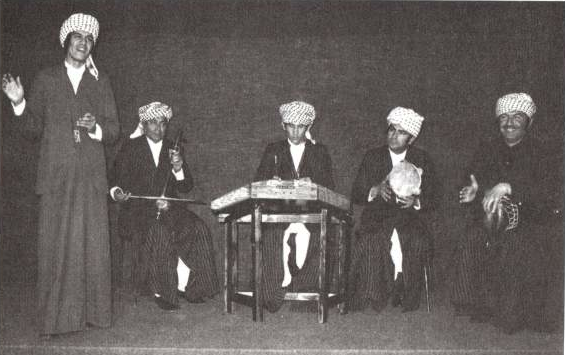 A maqam al-‘Iraqi performance usually begins with the tahrir, comprising one or more vocal passages that either have no text or consist of Arabic, Persian, or Turkish words (akh, khayyi, yar yar, aman). The tahrir presents the nucleus of the maqam and establishes its emotional content. Following the introductory passages, the singer and instrumentalists alternate rhythmically free melodic passages through increasingly higher tone levels. In some maqamat, the tahrir is preceded by an instrumental introduction of fixed meter. At times it is completely replaced by a badwah, a vocal introduction in which short and long tones are juxtaposed by the singer in alternately high and low registers. As a rule, the first tone level to be presented highlights the beginning tone of the chosen maqam row. Then, one by one, the other phases and tone levels of the maqam are realized. The highest tone level (meyana) marks the climax of the peformance and is immediately followed by the taslum, a descending melodic passage that leads directly to the finalis of the maqam row. There is no correspondence between the free rhythmic-temporal organization of the singer's improvised melodic line and the regular rhythmic organization of the accompaniment. A complete maqam concert, called a fasl, is composed of a number of maqam realizations whose sequence is fixed. The fasl is named after the first maqam presented. The Arabian repertoire of the maqam al-‘Iraqi includes five fusul (plural of fasl), namely bayat, hijaz, rast, nawa and husayni. At the end of each individual maqam presentation within a fasl, the ensemble sings a song of fixed meter (bastah) to give the singer a chance to rest before presenting the next maqam. After all the maqamat of a fasl have been presented, the entire ensemble takes a long break before beginning the next fasl. The performance of a fasl lasts three to four hours. In the past, several fusul were performed in one evening. Al-maqam al-‘Iraqi music was performed in a more private setting at the local haunts of famous maqam singers during festive events or on a certain evening of the month, sometimes also the night before a holiday. Alcoholic drinks were served during the performance, as long as it didn't take place during Ramadan, the month of fasting. Today the "local haunt" of the maqam singer is in front of a radio microphone or television camera. A great maqam singer is also looked up to as an authority on the subject of the maqam al-‘Iraqi. His musical talent is evidenced first and foremost through his mastery of the entire maqam al-‘Iraqi repertoire and secondly in his ability to give an especially distinctive rendition of a maqam or several maqamat. 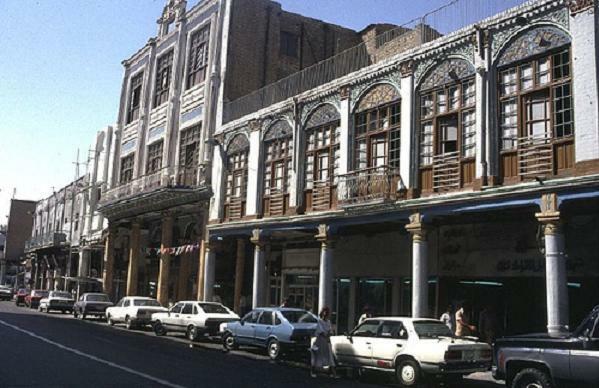 The musical tradition of the maqam al-‘Iraqi has been passed down orally by the great masters of the maqam in an unbroken chain of transmission leading up to the present. The oldest maqam singer whose biographical data are known to us is Mulla Hasan Babujachi (ca. 1760-1840), who counted the famous Rahmatallah Shiltagh (1799-1871) among his students. Shiltagh was of Kurdish or Turkish extraction and was regarded as one of the greatest maqam singers of the nineteenth century. He was instrumental in the development and propagation of the maqam al-‘Iraqi. After his beloved, an Armenian named Ya‘qub, left him and emigrated to Tiflis, he created a new maqam, the maqam tiflis, which is still performed today. Legend has it that Rahmatallah Shiltagh died just as he reached the highest phase of the maqam ibrahimi, on the tone jawab rast (c''), when an old wound burst open from the exertion. An entire generation of maqam singers looked up to Rahmatallah Shiltagh, among them Ahmad Zaydan and Mulla ‘Uthman al-Mawsili. Ahmad Zaydan (1833-1912) also created new maqamat and developed new forms of the tahrir and badwah introductions. A number of twentieth-century maqam singers, including Rashid al-Qundarchi (d. 1945) and ‘Abbas al-Shaykhli, owe their fame and musical ability to him and the school that he founded. Mulla ‘Uthman al-Mawsili (1845-1923) demonstrated his exceptional artistry in the rendition of religious song traditions as well. His performances fascinated audiences in Baghdad as well as in Istanbul, in Damascus as well as in Cairo, where the singer, who had in the meantime become blind, was often wont to appear. Included among the great maqam al-‘Iraqi singers of today are Muhammad al-Qubbanchi (1901-1989), Haj Hashim al-Rajab (b. 1920), Yusuf ‘Umar (1918-1986), Majid Rashid (b. 1915), ‘Abbas al-Qassam (b. 1917), and Husayn Isma'il (b. 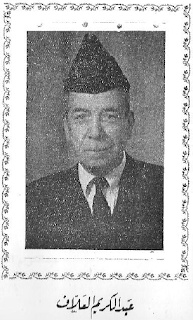 1952). It seems that its a good music. Well, that's a cool music. Sounds good! I think this song is very unique and strong. I think the strains of the song are very nice to be heard. I really want to play this music. My family and I really like the music that comes from Middle Eastern or Arab. In our opinion, this music has a characteristic. That’s my opinion.